This year our salmon season was later than normal and staying with that theme our steelhead are late, too. In Ontario steelhead fishing just started to pick up in mid-to-late October. 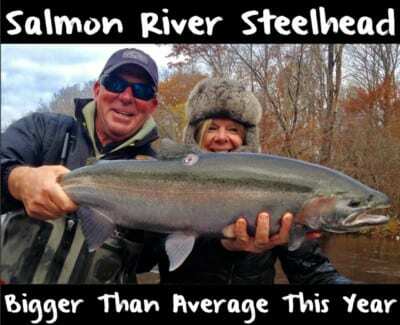 While anglers have been catching steelhead for more than a month only recently are we seeing stronger pushes of steelhead. All our tributaries that harbor steelhead have fish in them now. Meanwhile, with a lack of measurable rainfall there are still large numbers of steelies staging in Lake Ontario. When more rain arrives those fish will be drawn into our tributaries. I’m expecting it to be a good season through the end of the year. I think this season will be comparable to last year. However, the early to mid winter bite will be better than last year due to the favorable weather conditions we’ve been experiencing. 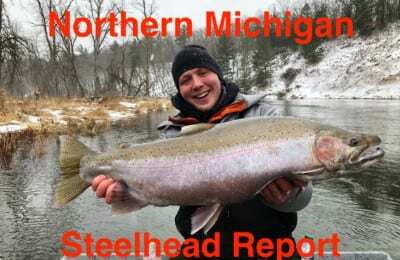 GTA steelhead should average six to 10 pounds. A good day steelhead fishing the GTA would be catching over a dozen fish. On the other hand, good anglers can expect to have a chance at catching 10 fish most average days before the heart of winter sets in. As always, steelhead can be found in most tributaries of Lake Ontario. This means you’ll find them from the Niagara River to Kingston on Ontario’s north shore. Fortunately, living in the GTA puts you in a central location to target steelhead on Lake Ontario, Huron, Erie and Superior, all of which are producing fish right now. I think the bite will be good in Southern Ontario until winter settles in and our tributaries start to freeze up. Until then all our major tributaries should fish well. Right now and through fall steelhead are spread throughout the system. They’ll be scattered throughout the fast and slow sections of the river until the water gets cold. Once the water gets cold and the ice starts to form the steelhead then retreat into slower, deeper sections of the tributaries. Early in the morning I’d start targeting slower water and flats. If the action isn’t too hot move into the faster water as the day goes on. Normally, steelhead are in slower water early because it’s coldest first thing in the morning. They often don’t become aggressive until the sun hits the water. For the last several years I’ve targeted steelhead the same way. That won’t change this season. Using eggs works. 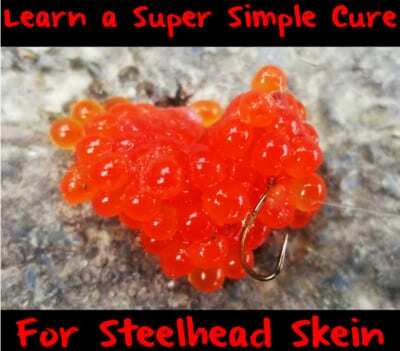 I’m tying scraped salmon, trout or steelhead skein into netting. 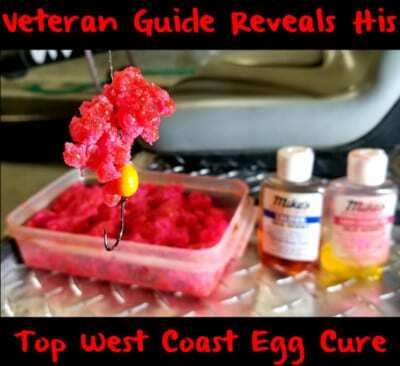 The preferred method is curing these single eggs in Orange or Natural Fire Cure, but many anglers do prefer BorX O Fire cure. 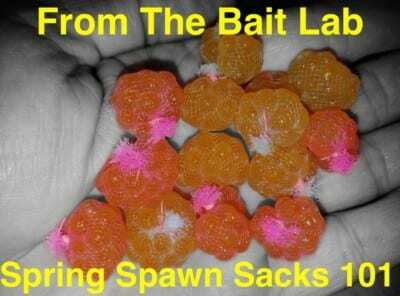 After curing the eggs I’m tying them in Atlas Spawn Netting. Pink & chartreuse netting is best early in the morning whereas white or peach is more effective as the day goes on. When tying larger bags I’ll use the 4-inch squares. With the smaller bags I’ll use the 3-inch squares. I almost always fish the bags under a float. While the size of the float varies depending on the water I’m fishing I always use a Coolwater float and clear Suffix Siege 10-pound test for my main line. Depending on clarity I’ll use five-to-eight-pound Drennan fluorocarbon as a leader. Normally, a Raven Specialist size two-to-eight hook is best. If the bait bite isn’t producing it’s also a good bite to try casting spoons and spinners.